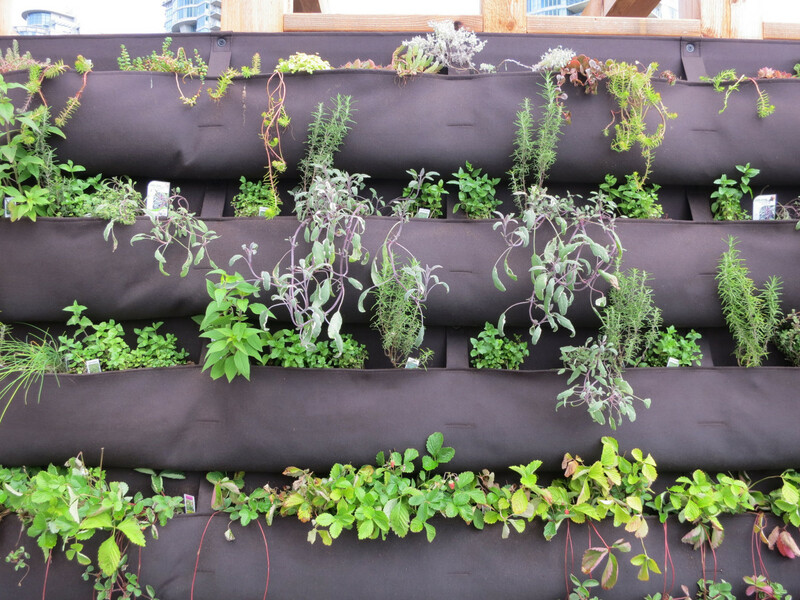 Not all vegetables are grown as annuals, growing and cropping in one year. 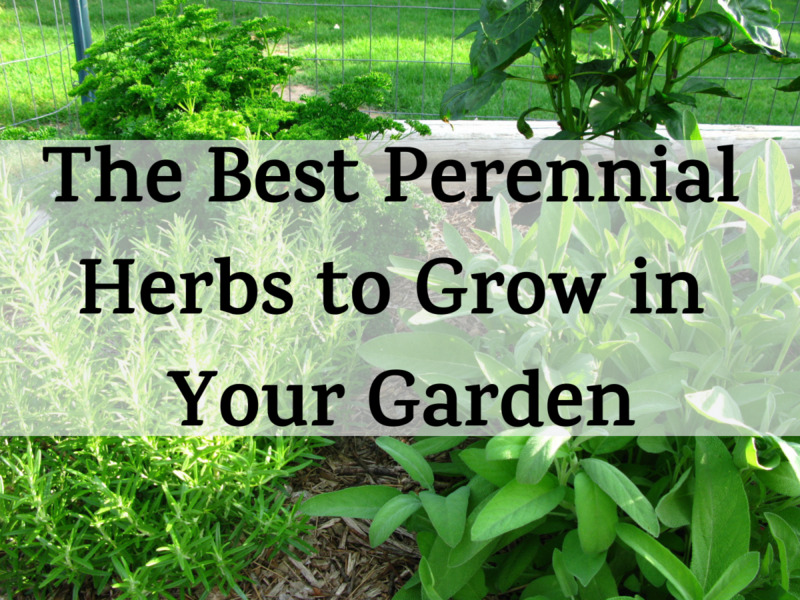 A few are perennials, growing every year with little care on your part. 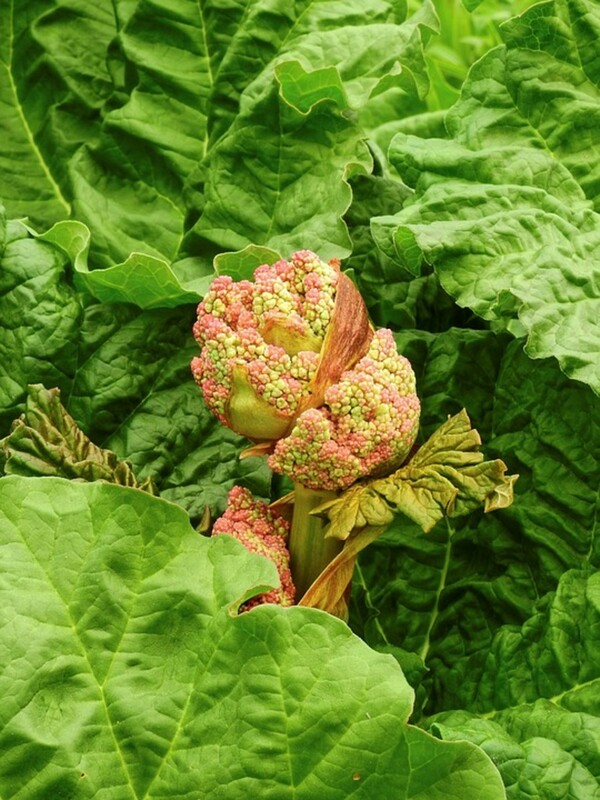 Rhubarb, that sweet tart treat so popular in pies and preserves, is a good example of a perennial vegetable that will reward you with reliable harvests for up to 10 years. Rhubarb is a perennial vegetable that is native to China. 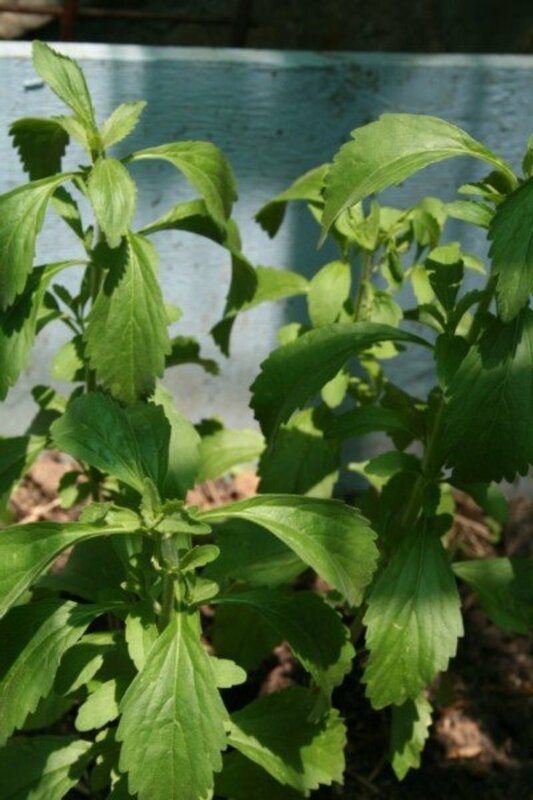 In the past, it was used medicinally to treat constipation because it has a laxative effect. It was brought to the Middle East and then Europe via the Silk Road. Rhubarb is hardy in zones 3 through 7. It is grown as an annual in warmer zones because it needs winter temperatures of 40⁰F or colder to set the buds. Southern summers are also too hot for it because the plants need cooler temperatures of 75⁰F or below. Rhubarb has been known to struggle through warmer than normal summers, only to come roaring back in the cooler temperatures of fall. Mature plants are 4 feet tall and 4 feet wide. The leaves are poisonous. They contain oxalic acid crystals which are poisonous to both humans and animals so they should not be eaten. 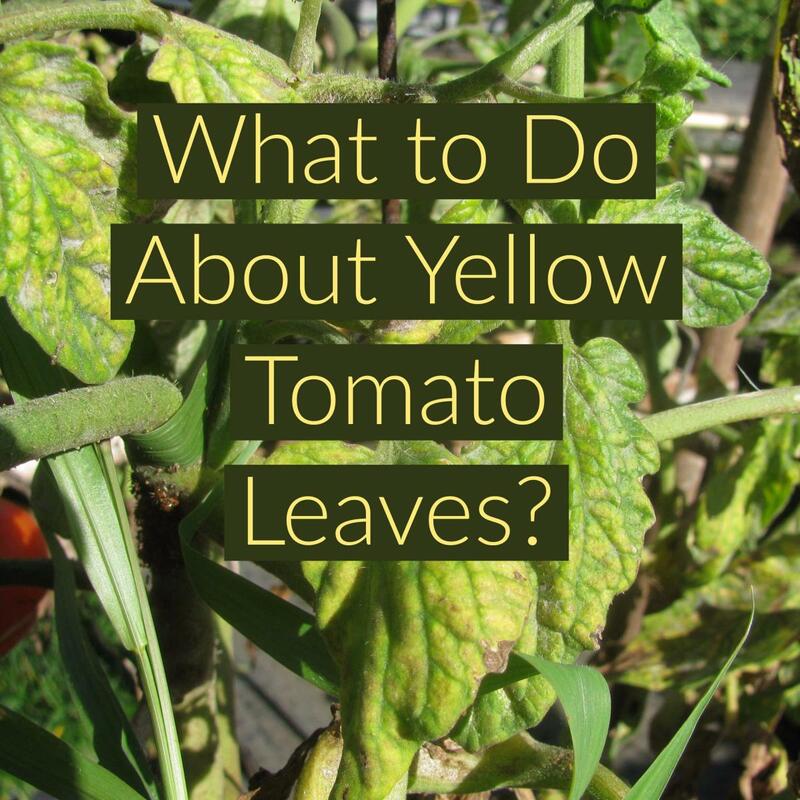 The leaves are safe to use as a mulch or added to compost. When the leaves break down, the oxalic acid crystals dissipate and are not taken up by other plants. 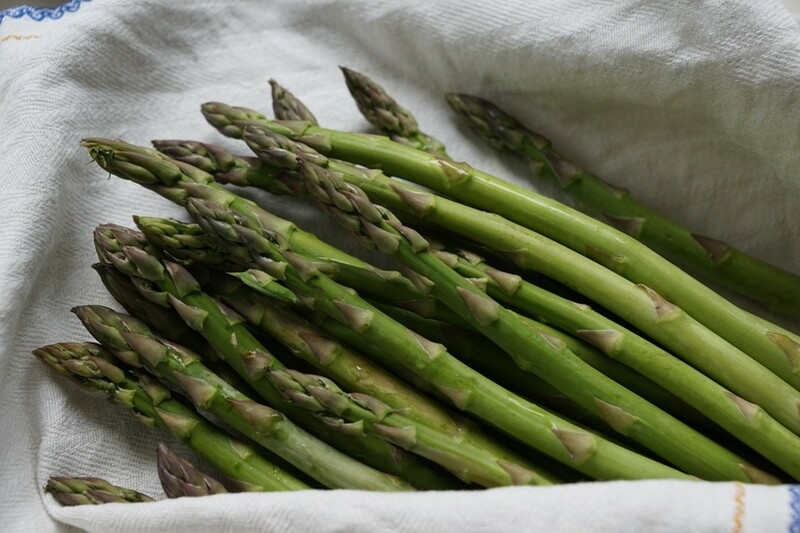 The stalks also contain oxalic acid crystals but in much lower levels that are safe to eat unless they are damaged. Damage to the stalks, especially frost damage, causes the oxalic acid crystals to move from the leaves to the stalks rendering them toxic. Do not eat any stalks that are soft, leaning over or obviously damaged. 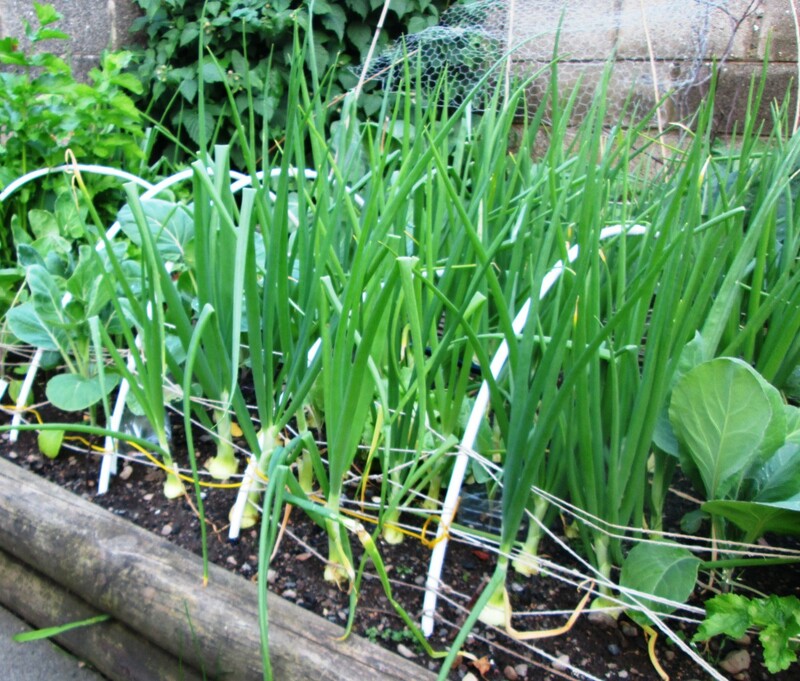 Choose a sunny area in your vegetable garden that is away from any area that is regularly cultivated. You do not want to disturb the roots of your plants. They will be growing there for up to 10 years. Rhubarb is grown from 1 year old “crowns” which are the dormant buds and roots. They are planted in the spring as soon as the soil can be worked or in the fall before the soil freezes. Although you only need to plant the crowns 2 inches deep, dig holes or trenches that are at least 12 inches deep and fill them with compost and well-rotted manure. 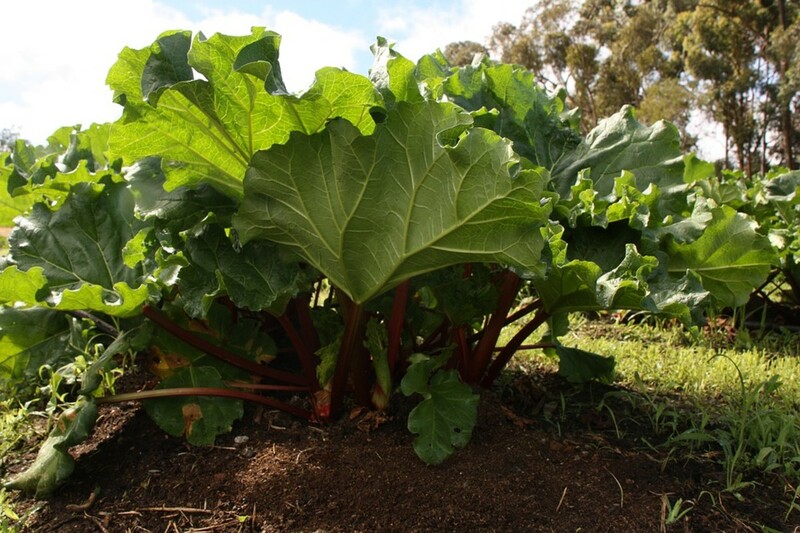 Rhubarb is a heavy feeder which means that it uses a lot of nutrients each year and can easily exhaust your soil. Plant the crowns 4 feet apart in rows that are 3 feet apart. Then cover the soil with a 2 to 4 inches of organic mulch to keep the roots cool and moist, as well as to discourage weeds. Organic mulch breaks down into the soil providing a steady supply of nutrients. Refresh the mulch throughout the growing season to maintain the 2 to 4 inch depth. Keep your plants well-watered if your summers are dry. Keep the bed weeded. Weeds compete for water and nutrients with your plants. Remove flowers before they open so that the plants will use their energy to grow more stalks rather than flowers and seeds. In the fall, a hard frost will kill the plants and the roots will go dormant for the winter. Remove all the dead leaves and stalks and cover the bed with a thick layer of organic mulch to provide protection from extreme cold in the winter and to prevent the roots from drying out. 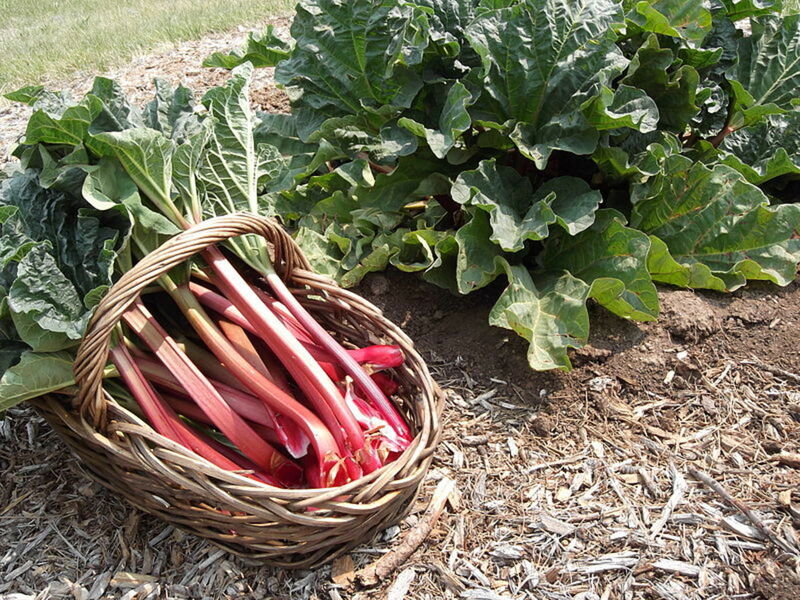 Don’t plan on harvesting from your rhubarb bed the first year. The plants need a year to grow out their roots. Keep them mulched and watered and remove the flowers. You want them to devote their energy into growing more roots to support larger plants in the future. In the fall after a hard frost, remove the dead leaves and stalks and add a thick layer of mulch. The second year of growth, you can harvest a few stalks from each plant when they reach are 12 to 18 inches tall and at least 1 inch thick. This is also a year that the plants need to grow and mature. Keep removing the flowers so your plants will increase in size rather than produce flowers and seeds. Just like in the first year, after a hard frost, remove the dead leaves and stalks and add a thick layer of mulch. You can finally start harvesting in the third year. Wait until the stalks are 12 to 18 inches tall and 1 inch thick. Never remove more than one-third to one-half of the stalks at once. You can expect to harvest 2 to 3 pounds of stalks from each plant each season. The proper way to harvest the stalks is to firmly grasp a stalk and pull while twisting until it breaks off from the crown. You can use a knife if you prefer but be careful not to injure the crown. When the stalks start to be thin and spindly, stop harvesting. The plants need a chance to recharge before their winter dormancy. Rhubarb needs to be divided every 3 to 4 years. You will know that it is time to divide when the crowns become over-crowded with new plants and the stalks are thin and spindly. Division is easy. In some cases, you don’t even need to dig up the plants. Just take a spade and use the blade to cut away pieces of the main crown. Either discard the pieces or replant them elsewhere. Division should be done in the fall after the plants become dormant or in the early spring while the plants are still dormant. Most gardeners dig up the entire crown. Cut it into 2 inch pieces and replant the pieces using the 4 feet separation you originally used. Rhubarb stalks should be used as soon as they are harvested. After harvest, you should cut off the bottom of the stalks and the leaves. If your plants are producing more stalks than you can use, you can cut the stalks into pieces and freeze. Alternatively, you can store the cut stalks in plastic bags in the refrigerator for up to week.